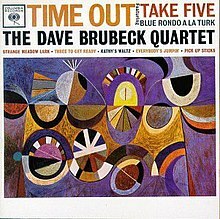 DAVE BRUBECK QUARTET: TIME OUT: 1959: 5 STARS OUT OF 5 STARS: One of the most famous jazz recordings ever- Take Five is something everyone has certainly heard. The album had great crossover appeal. Cool and west coast jazz. Time Out was influenced by music Brubeck heard while touring Turkey for the US State Department. The album peaked at #2 on the pop charts. Listed on the 1001 Albums To Hear. THE STEEL WHEELS: THE STEEL WHEELS LIVE AT GOOSE CREEK: 2011: 5 STARS OUT OF 5 STARS: I do enjoy their studio albums- but The Steel Wheels are best as a live band and this live album captures them perfectly. I am not a Live album fan but in listening to this I sometimes forget it was recorded live. 17 tracks- mostly their best songs up to this point in their career. THE PRETENDERS: LEARNING TO CRAWL: 1984: 5 STARS OUT OF 5 STARS: The first Pretenders album is their best all around album- but this is my favorite- with Back On The Chain Gang- [on my short list for favorite song of the decade} Middle Of The Road, My City Was Gone, Show Me and 2000 Miles. The band had been on hiatus after the deaths of James Honeyman- Scott and Pete Farndon- an impressive comeback. 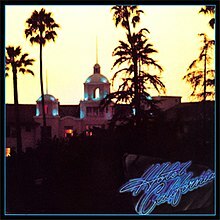 THE EAGLES: HOTEL CALIFORNIA: 1976: 5 STARS OUT OF 5 STARS: The Eagles at their peak- as a rock band. I have mixed feelings about The Eagles- but this album- that had two #1’s- New Kid In Town, Hotel California [another overplayed song that I am sick of hearing} and #11 Life In The Fast Lane- my favorite song on the album is The Last Resort. From start to finish a great album- got to give credit where credit is due- even though other than Ringo’s brother-in-law I don’t like this group very much. 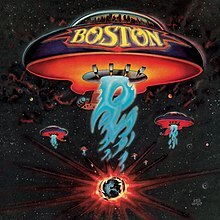 BOSTON: BOSTON: 1976: 4 STARS OUT OF 5 STARS: A huge album- if I were making a movie of high school life in the late 70’s music from this album would have to be on the soundtrack- not that I am a big fan of it- I really am not- but it was one of those albums that seemed to be big- forever. More Than A Feeling I admit to liking- the rest of the songs were all played on FM radio- not my mind of stuff but it was a landmark album in the late 70’s selling 17 million copies in the US- they never came close to this again- and in 43 years have released 6 albums total. PHIL SPECTOR: BACK TO MONO: 1058-69 : DISC 3: Phil Spector is the Ernest T. Bass of record producers- an uncontrollable nut case- and because of that he probably doesn’t get the credit her deserves. He more than any producer I can think of is- producer as artists. He took mostly third rate vocal talents and made countless hits with them- of course he did have first rate- musicians- The Wrecking Crew- he didn’t cut corners there. I loved box sets and if I were to rate all the box sets I have this would be in the top 10 for sure. You’ve Lost That Lovin’ Feelin’ and Be My Baby have to be on the short list of greatest singles ever. River Deep-Mountain High- was a turning point for the fragile minded Spector- when it- one of his true masterpieces peaked at #88- it sent him into seclusion for 2 years. He would produce again after 1969- his controversial work on Let It Be and he did The Ramones “End Of The Century” but the days of The Wall Of Sound- were over. The Phil Spector Christmas album also included in this box set and it is a great album of rock and roll Christmas songs but its February and I can’t bring myself to listen to anything Christmas. The Pretenders’ “Learning to Crawl” is one of my most treasured albums. Take 5 is right where it belongs, as you mentioned, on the 1001 list! First Pretenders album. Nearly tore up the cassette. Nearly wore out Hotel California & Boston albums. Thank goodness for pennies on needles.